The Sheep Whisperer: Scorpions- A "Sting" Operation! 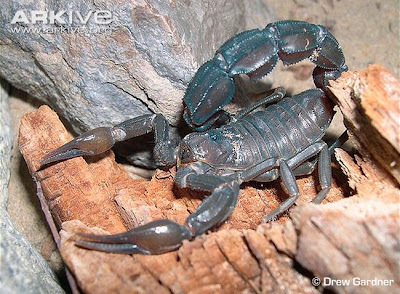 Scorpions are members of the Arachnid family & are closely related to ticks, mites, & spiders. 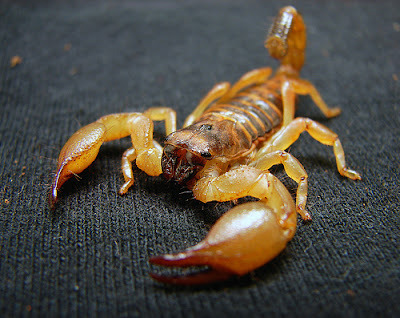 There are 2000 species of scorpions, but only 30-40 species inject enough venom to kill a human being! They are often located in harsh environments , yet are able to endure & survive. I'm a "Deathstalker" & Ewe don't want to mess with me! Scorpions typically eat a variety of insects & are primarily nocturnal hunters. They are gifted with the ability to change their metabolism when the situation warrants it. For example, scorpions are able to slow their metabolism down to the point of surviving on only one meal in a year's time. They have also had the distinction of being placed in a freezer overnight, & after thawing out, have lived! Now that's one "COOL" & tough customer! Did Ewe know that I'm responsible for approximately 5000 deaths a year! 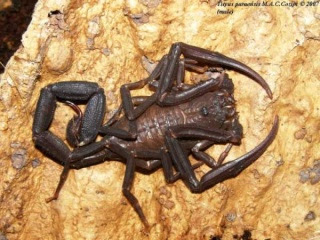 The deadliest scorpion in the world is the Arabian fat-tailed Androctonus Scorpion of the Mid-eastern countries. 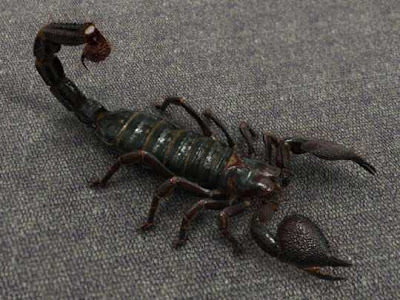 This scorpion has enough neurotoxins to kill a human being in just minutes. Only 3-4 inches in length, the Androctonus is a nocturnal predator that is any insect's worst nightmare! They will tear Ewe to pieces! Ewe will get the point of my sting if Ewe make fun of my fat tail! 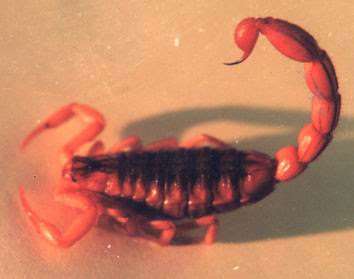 Venezuela is home to the Gormar, which according to sources, is our third deadliest scorpion on the earth. The Gormar is just 4-5 inches long, weighs only ounces, & lives in the jungles & tropical rain forests of Venezuela. One sting from a Gormar can kill an average sized man within 10 minutes. 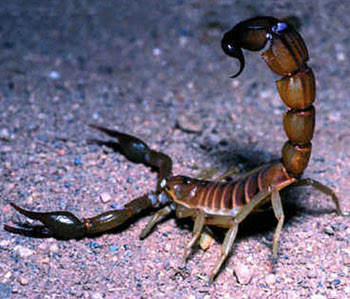 Ewe want to avoid this scorpion, since there is no anti-venom available. I hope to see Ewe sometime in Venezuella ! I have a "tale" I'd like to share. I'll see Ewe in the Amazon! If Ewe are ever in India, Look me up! I'm an Indian Red & Deadly! Sheep live in very different environments than Scorpions. Yet, even a sheep's environment can be hostile to such a vulnerable animal. The Shepherd is their main line of defense against the potential dangers in their world. 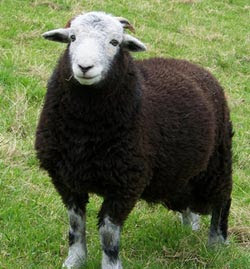 Herdwick sheep from northern England are a sturdy breed. The Good Shepherd is looking out for Ewe today. 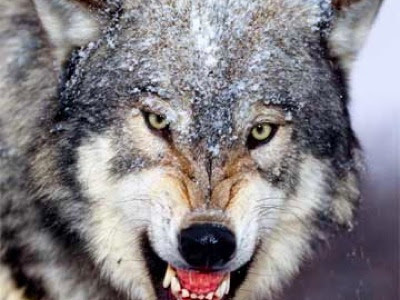 This is a great day to trust in His protection, however hostile the environment!